Obamacare Humor – What's Wrong Here? 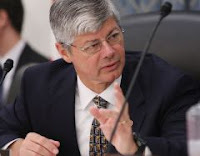 Congressman Bart Stupak, the leading pro-life Democrat working to stop the pro-abortion Senate health care bill in the House if abortion funding is not banned, says he still doesn't think House Speaker Nancy Pelosi has enough votes to push the measure through the chamber. His comments come after the House Budget Committee rejected an attempt to add his amendment to the reconciliation bill. In an interview with Fox News' Greta Van Susteren, Stupak said he and his pro-life Democratic colleagues have not backed down from their position that they will vote against the pro-abortion health care bill unless abortion funding and promotion is removed. "We're still not planning on voting for health care unless we can address some concerns. As I said before, there's many concerns with this bill, especially with the House -- with our vote, we sort of pass the Senate bill without any amendments," he said.